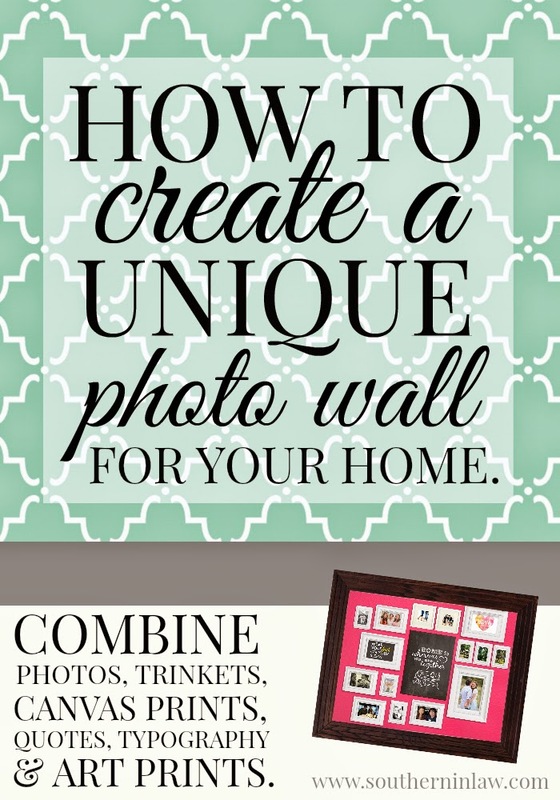 Southern In Law: How to Create a Unique Photo Wall For Your Home! How to Create a Unique Photo Wall For Your Home! Photo walls are more of a must have now than they've ever been - and as someone who loveeeeeeeees having photo arounds, I'm quite okay with that! But there's more you can do with a photo wall than simply hang some frames. A lot of people think they can only hang just photos and frames, but if you ask me, the best photo walls are the ones that show off you and your family's personality. Jesse and I currently only have four walls to decorate - which are technically two walls as two walls are taken up by our wardrobe and bay window - so space is limited. What I wanted to create was a photo wall that incorporated all the things we love - art pieces, quotes, canvases and our favourite photos. The centre of our photo wall is a canvas print from PhotoBox - but we didn't want to go with the traditional photo print (because there's so much more you can do with canvas prints!). As part of my business, I also design printables and art prints for people right around the globe (here's my little design blog and facebook page) - so it's only natural that I'd also want to include a design in our photo wall. The print you see above, Home is Wherever We Are Together, was actually created for a client - but it also fits perfectly for us! Around the print you'll see photos from our wedding, engagement photoshoot, our photoshoot with Chanel, our Verve photoshoot, some nature pictures from Louisiana and Bali and also two of our prints from Christian Designs which we absolutely love! But how do you plan a photo wall? Well, firstly, you don't do what Jesse would do and decide one Saturday that it's going to happen, rush out to the shops and buy whatever mismatching frames you can find and then start banging a hammer into a wall. 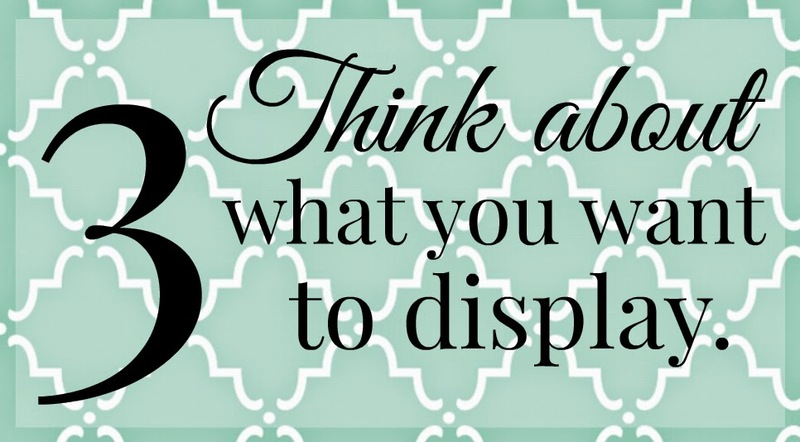 Unlike hanging a regular frame, when you're hanging multiple pieces you want to think about what you're doing and plan it out - or you're going to have a photo mess on your wall. So here's how we did it. Firstly, you want to decide on the wall you're going to use. 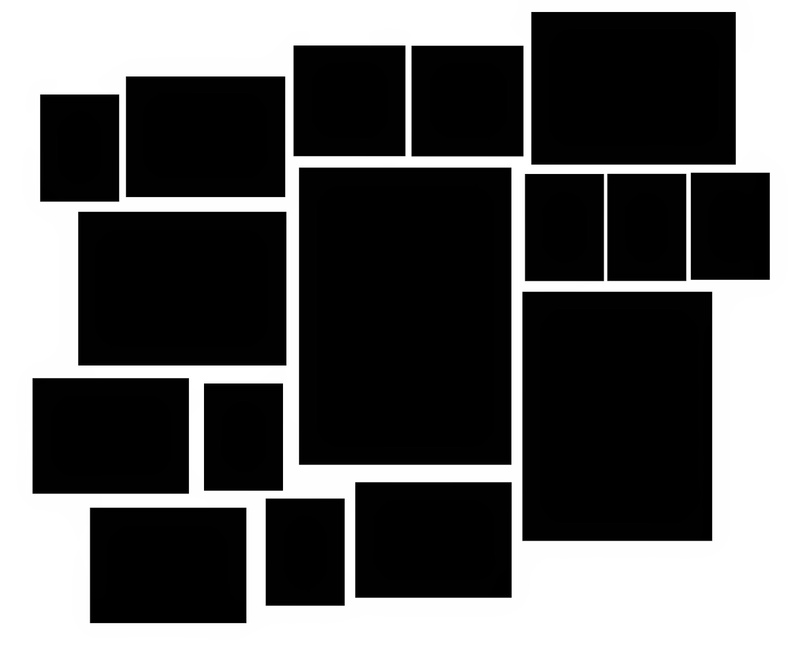 This is going to decide how big your photo wall can be, what you can use and what colours you want to use. 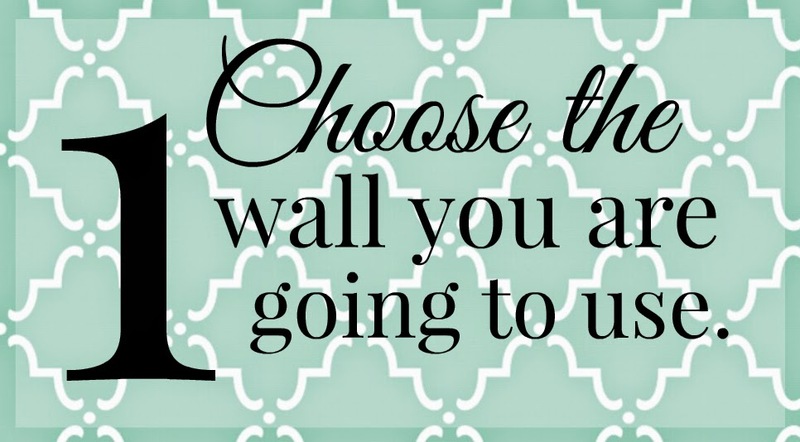 If you're like us, you want have much to choose from - but if you have a whole house to decorate, think about using a wall that's seen by many so that you can show off and admire your hard work on a daily basis. As you can see, I like to have a feature piece in the middle that's larger than the rest. It's draws people in and then they'll look around at everything else and it's also a bit of a statement piece. For us it was an art print I created but we also considered making a print of an inspiring quote, our favourite bible verse or just something pretty to look at. We printed this art print at Photobox and it became the feature piece for our photo wall. When you're printing a photo or art print on canvas you want to make sure your picture quality is right. If you're having someone design an art print for you, let them know the size you want so that they can make sure everything is perfect. Instead of an Art Print: You could use a unique clock, a quote print like this, a print of your wedding vows, wooden letters (we're adding a K and J into our photo wall soon, a framed poster, an enlarged photo print, a chalkboard, floating shelves with your favourite trinkets, a wall art piece (I love this metal lace love piece from Typo) - or you can even use a modern stag head if you so fancy. Also, if you're a runner - add in your medals! What photos do you want to display? Are you going to have a theme or a random collection of photos of your loved ones or from your travels? 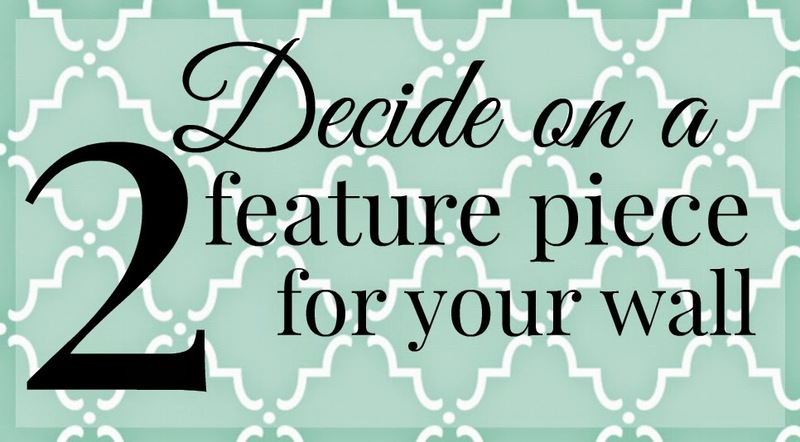 Do you want to add in trinkets and art pieces or do you want to include quotes? 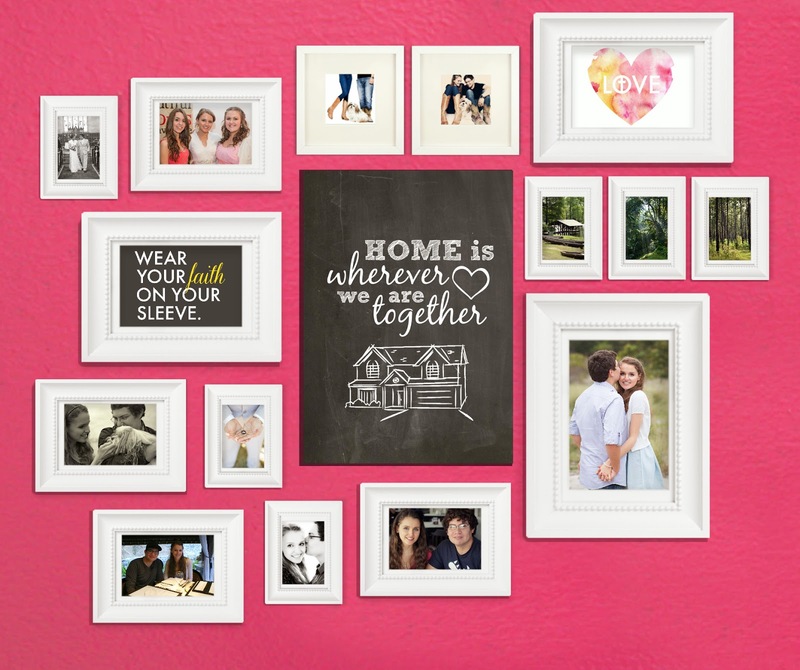 Collect all of the pieces you want to use on your photo wall and decide what you need to buy to add in. If you're ordering photo prints or art prints, do this first as they'll take some time. Then you'll want to buy your frames, anything you need to hang your pieces and any extra bits and pieces you want to add in. We decided on simple white frames as this is only temporary and we have no idea what our future home is going to look like. White frames also make it easier to add in other frames in the future as you can easily spray paint a frame to match. We're planning on searching for some vintage frames that we can spray paint and add into our wall later on. 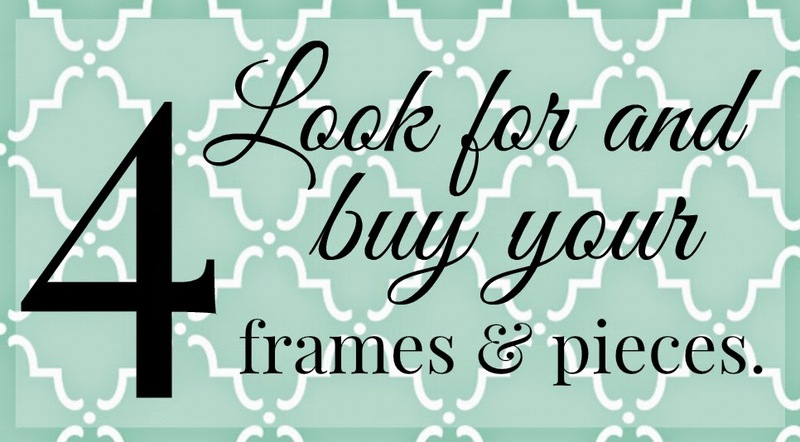 When buying frames, have a think about how much room you have. We have fifteen frames in total of different sizes and we played around with them to find a perfect fit. This is perhaps the most important step as you want to have the design decided on before you start banging nails into your walls and hanging things up. We found the easiest way to plan it out was to cut pieces of paper out the size of our frames (scaled down - so if your frame is 6"x7" cut pieces 6cmx7cm or 3cmx3.5cm etc) so we could move them around on a larger piece of paper and then stick them down with a glue stick to act as our final plan. This will give you a bit of an idea of our paper version. We started with our custom canvas print in the center and then fitted in the frames around it. As you can see, our design isn't symmetrical - but it totally works! 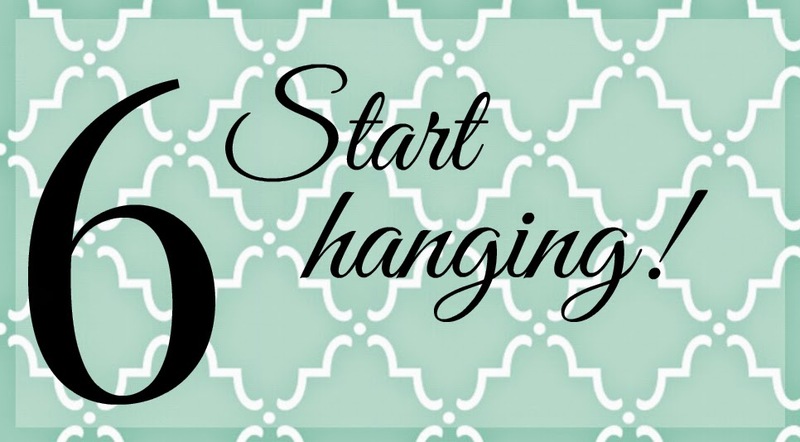 Now that you have everything planned out, you can start hanging! 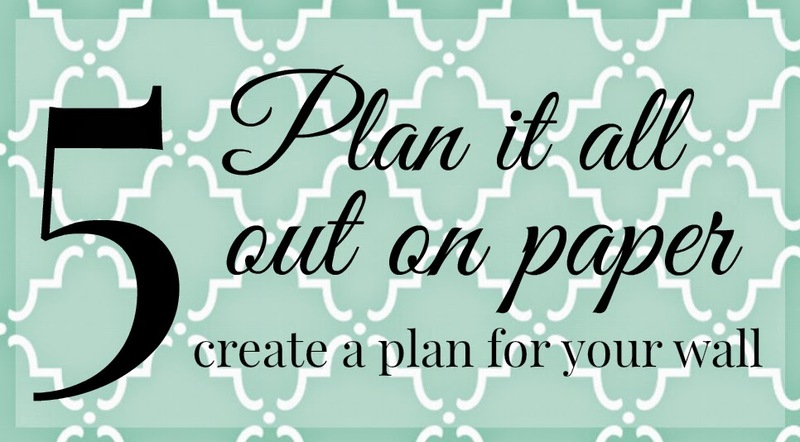 Work off your plan and hang pieces on the wall as planned. Our number one tip? Measure once, measure twice and check everything is level - no one wants a wonky photo wall! But tell me, are you a fan of hanging photos and artworks around your home? What do you think you'd choose as a centre piece for your photo wall? We have a photo wall going up our stairs, and it is made up of mismatched, quirky, one-off frames filled with photos from all of the important moments in our lives. I love the idea of having a quote or an art piece as centre-stage. We're now about to move house and I'm thinking of adding a photo wall to our new dining room as well so I'll have more options then too! These are soooo good and so much healthier than other granola bar recipes I was looking at! I added flax seed meal and couldn't help but add a few dark chocolate chips. They will be the perfect on-the-go snack! I'm desperate for quirky mismatched frames so that is my goal when we have our own home! Just made these - SO yummy :) perfect afternoon treat! What do you think you could use instead of a banana? Maybe more peanut butter? Also, do you think I could throw in a few chocolate chips or some cocoa powder to make these chocolatey? Also, I'm going for ultimate peanut here, so what do you think of throwing some chopped peanuts in this? Should that replace some of the oats so it doesn't get too crumbly? All the other recipes I've tried have given me granola, not granola BARS. Thanks! HI Sarah, if you replace the banana or add in cocoa powder you will end up with more of a crumbly granola type consistency than granola bars. The banana in this recipe is what holds the bars together so adapted the recipe will give you an entirely different result. So I am new to this. I used steel cut oats. As soon as I saw them I quickly switched to rolled. LOL I must say the results are chewy! Taste great no off tastes at all! Haha yes, steel cut oats are definitely not the right thing to be using in granola bars! Though, I suppose if you liked the texture they could definitely be added in. Glad you loved the taste of these bars! I need to make another batch! I have one after each meal for my carbohydrate requirement! Can't wait!! So glad you are loving them!! !